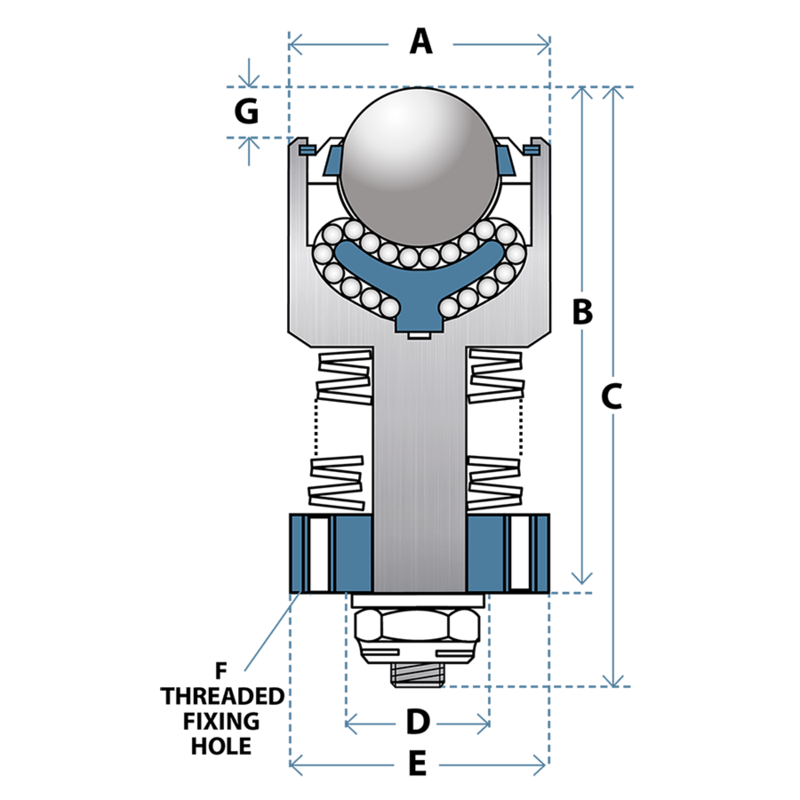 When incorporating Omnitrack 94 series units into heavy press tooling or dies, the tooling can be precisely positioned & then clamped. 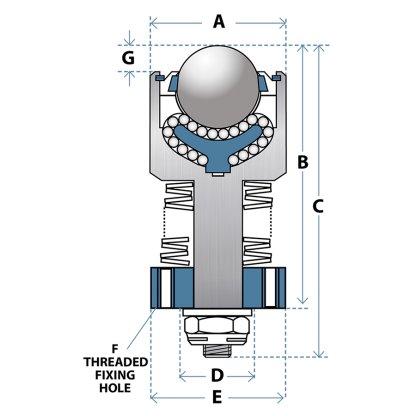 The additional force caused by will cause the disc springs to deflect whilst clamped, yet once unclamped, raise the tooling ready to be maneuvered away with ease & accuracy. 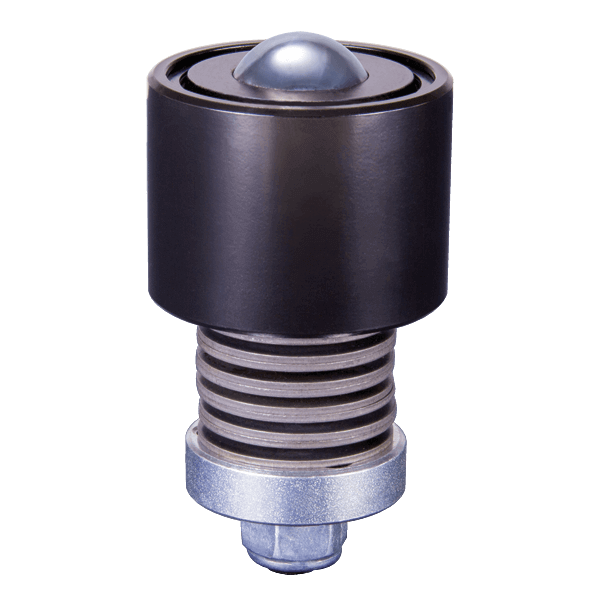 Material upgrade options are shown below – order by adding the suffix to the part number required, for example, 94339441 ‘Z’ which includes stainless steel balls/internal parts & improved resistance to high temperatures.